There have been some important revisions to the Act which protect distressed homeowners by requiring lenders to participate in mediation before proceeding with a non-judicial foreclosure in Washington. The bank must explore all workout options and review the borrower’s financials for a possible loan modification. It is proving to be an effective way to force the servicer to make a decision on a modification and give the homeowner the opportunity to move forward with reduced loan payments, often with the past due amount tacked to the end of the loan. It often makes sense to stay in an underwater property if the monthly payments are low enough. A homeowner can lock in a monthly payment (affordable, defined as 31% of gross income) that is lower than current rental rates for 30 or 40 years. If the modification is denied, the loan servicer must provide the reason why the loan modification was denied and explain it to you in understandable language. The Obama administration’s HAMP (Making Homes Affordable) program was expanding to include a tier 2 review which is resulting in more modifications being approved for eligible borrowers. Interest rate reductions, extension of loan terms, principle forbearance (and in rare cases, forgiveness) are increasingly approved under the new federal guidelines. The homeowner can request mediation under the Act on their principle residence, provided it is not a duplex or investment property. The borrower and the bank split the $400 mediation fee. If you receive a Notice of Pre-Foreclosure, the non-judicial foreclosure process has begun and the lender will have the right to sell your home at auction. That letter is time sensitive – you have 30 days to schedule a “Meet and Confer”. This is a meeting with your servicer to explore possible workout options. 30 days after the Notice of Default, the lender can record a Notice of Trustee Sale. The borrowers’ right to request mediation ends 20 days after this notice, which will be sent by certified mail. Four months after this notice, the property can be sold at auction. AVAIL YOURSELF OF THE PROTECTIONS OF THE FORECLOSURE FAIRNESS ACT. IT IS PROVING TO BE VERY EFFECTIVE IN ACHIEVING MUTUALLY BENEFICIAL SOLUTIONS FOR ALL PARTIES INVOLVED. Paul di Furia is a contributing author to this blog and has been admitted to practice law in the state of Washington. 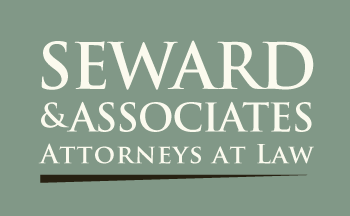 He is a licensed mediator who also works in association with the Law Offices of Richard D. Seward, PC.